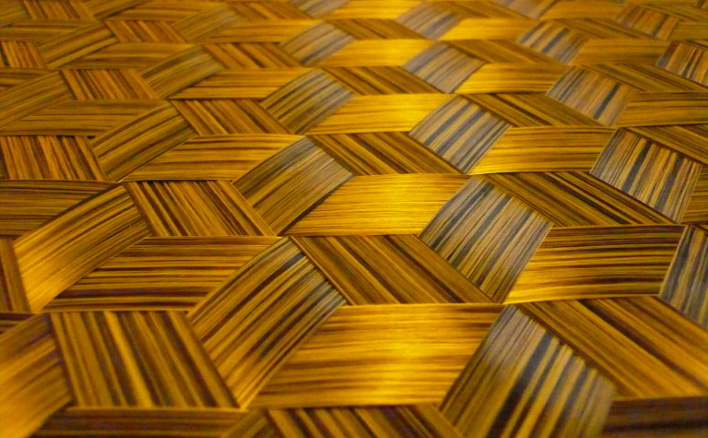 Gernitex spread tow carbon fiber fabrics are available in both biaxial and triaxial weaves. 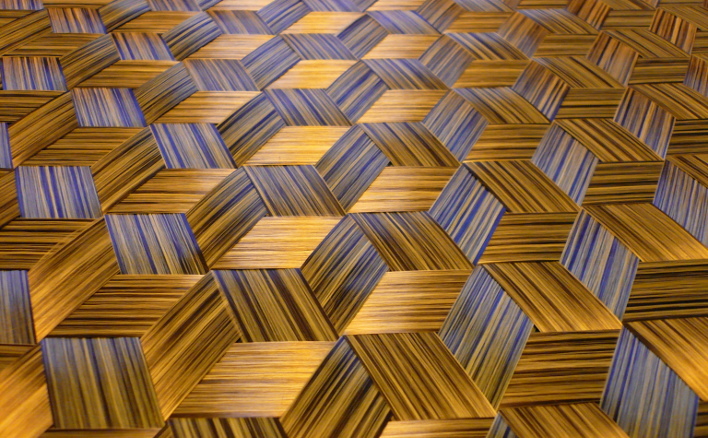 They are woven from technical fibers such as carbon fibers, aramid fibers, flax fibers or from a mix thereof. Spread tow fabrics have practically straight fibers wich result in a greater stiffness and a greater strength in compression due to reduced fiber buckling. Those low crimp rate fabrics enable a higher fiber-to-resin volume ratio in composite parts. While biaxial weave fabrics provide reinforcement in two main directions, triaxial weave fabrics exhibit the sames properties in every direction due to their quasi-isotropic fiber configuration. Lighter. Spread tow carbon fiber fabrics are woven from fiber tows that are spread into thin tapes. Tape area density is inversely proportional to spreading width. Whereas the lightest traditional carbon fiber fabrics weight 90 g/m2, spread tow fabrics can achieve densities as low as 40 g/m2. Straighter fibers. Compared with traditional reinforcement fabrics, spread tow fabrics have practically straight carbon fibers. Straight fibers have a higher rigidity in tension than undulated fibers and result in a stiffer fabric. Since their buckling is not initiated, straight fibers also have a better resistance to compressive stress. Higher fiber-to-matrix ratio. Since spread tow carbon fiber fabrics are extremely flat, they require less resin than traditional fabrics to be impregnated. This results in composites with a higher fiber-to-matrix volume ratio and overall better mechanical performances. Because they have practically straight fibers and a woven structure, spread tow carbon fiber fabrics combine the stiffness of non-crimp laminates and the reduced delamination risks of woven fabrics. Traditional biaxial weaves such as plain and twill weaves have a [0°/90°] fiber orientation. Taking the modulus of a unidirectional composite as a reference unit, a biaxial weave composite exhibits a maximum modulus of 0.5 along its tow main directions, 0° and 90°, and a minimum modulus of 0.25 along its two bias directions, +45° and -45°. 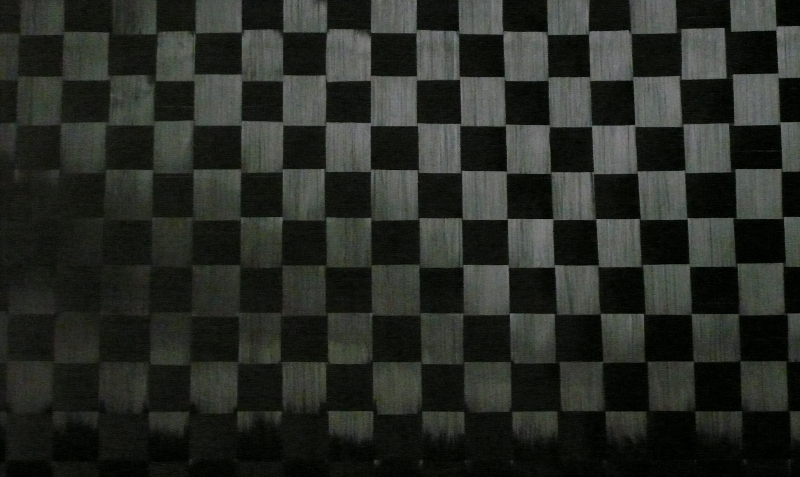 Among biaxial weaves, twill and satin weaves also differ by their ability to conform to curved surfaces. Triaxial weaves such as the dense triaxial weave or the light triaxial weave have a [0°/+60°/-60°] fiber orientation. Again taking the modulus of a unidirectional composite as a reference unit, a triaxial weave composite exhibits a constant modulus of 0.375 regardless of the direction. 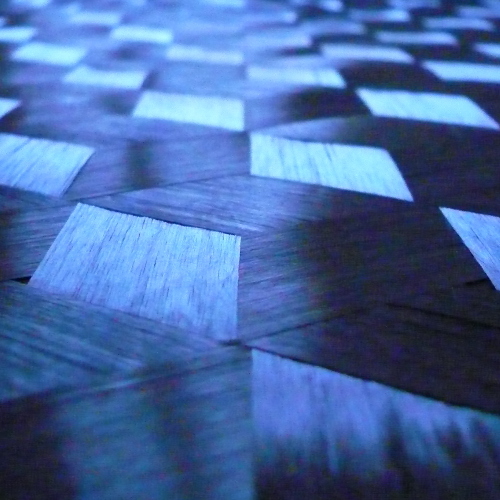 In particular, as a woven [0°/+60°/-60°] quasi-isotropic laminate, a dense triaxial weave fabric is a versatile reinforcement. Carbon fibers can differ by their modulus, strength, diameter and other parameters. 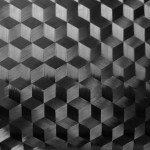 By selecting the right type of carbon fibers, for example high modulus or high strength carbon fibers, it is possible to optimize the properties of a carbon fabric for its application. Moreover, carbon fibers can be comingled with other types of fibers such as Kevlar fibers or flax fibers to further adapt the fabric properties. Whereas carbon fibers are great for strength and rigidity, Kevlar fibers are tougher and more difficult to break. Flax fibers are lighter and have a higher vibration damping capacity. 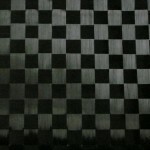 A comingled or hybrid fabric is a multi-material fabric that can replace a stacking of several single-material fabrics. This alternative can reduce delamination risks as well as costs and lay-up time. Hybrid triaxial spread tow carbon fiber fabric. 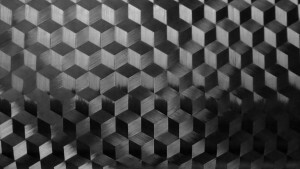 Carbon fibers are commingled with Kevlar to enhanced breaking strength. 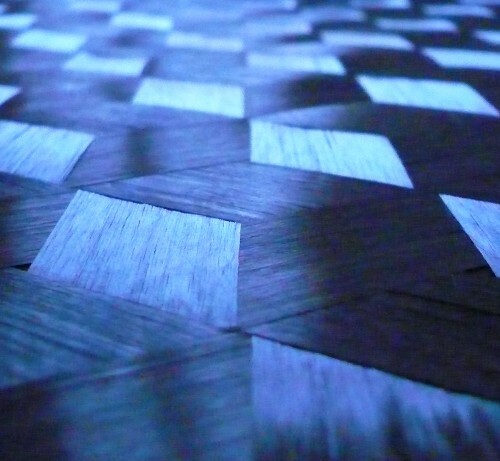 A spread tow fabric is woven from tapes made of thousand of parallel fibers. If completely unsized, a dry spread tow fabric is delicate to manipulate and prone to damage. That’s why various binding methods are available to keep the fibers in place. The size depends on the wanted ease of manipulation and the matrix compatibility. Sports, industry. Semi finished products such as carbon/aramid fiber plates and tubes.